Mitsubishi’s effort with electric cars may not be very popular but they’re quite a few steps into it with their microscopic i-MiEV hatchback. 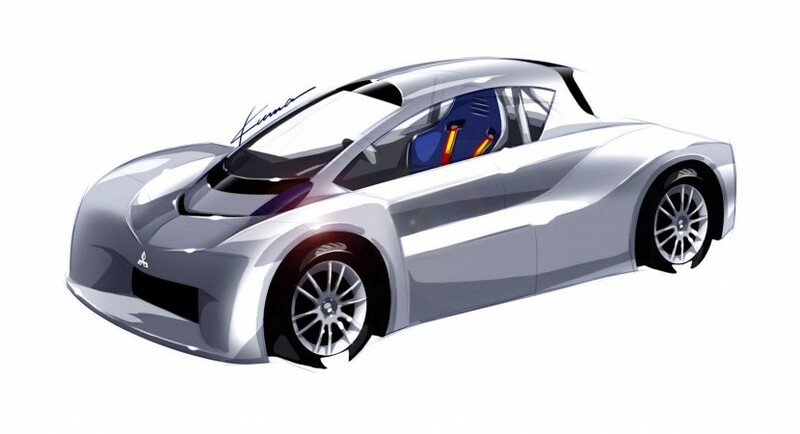 In an effort to popularize both the car and the technological capabilities underneath its simple looking body, the Japanese company will make a spin-off prototype that they’ll be sending up Pikes Peak. The infamous uphill climb race is known for its treacherous conditions and should be quite the leap for the Mitsubishi electric division. But if we’re going to talk leaps, unless you plan to jump off the top of Pikes Peak, you won’t see one bigger than the Mitsubishi i-MiEV Prototype. 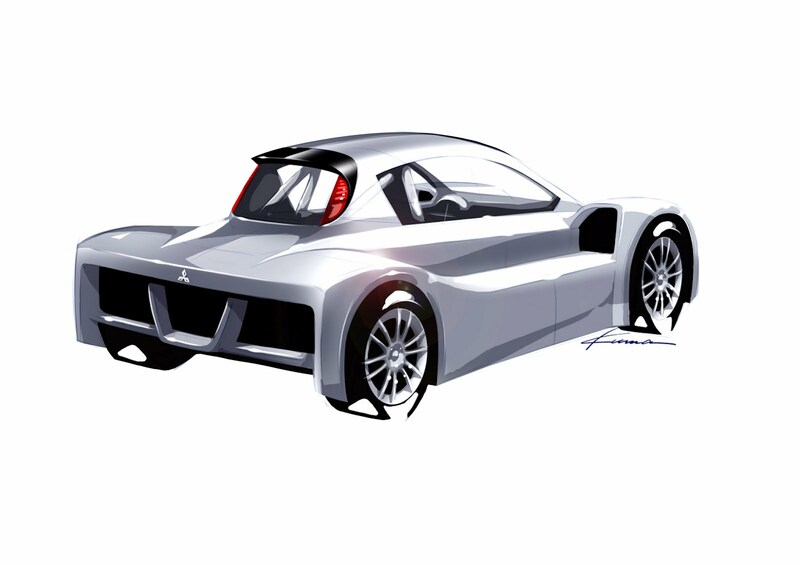 Even though Mitsubishi tells us it will be based on the regular car and that it will use the same EV components, the first sketches speak of a totally different car. The natural widening of any racing version of a street car was taken to extremes. 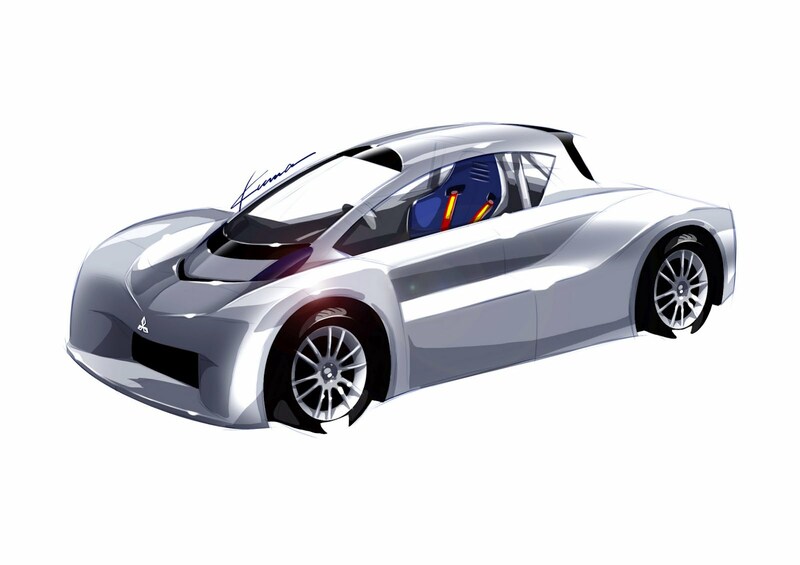 The Mitsubishi i-MiEV Prototype is basically a compact single seater with a very wide body. That wide body does have a few of the design cues of the regular hatchback and the driver “buble” does have similar taillights but that’s about it. In Mitsubishi’s attempt to conquer Pikes Peak, the i-MiEV prototype will be driven by Hiroshi Masuoka. He’s one of their most successful Dakar rally driver. He’s got two titles of the infamous desert race under his belt (2002, 2003) and a vast amount of experience as he’s competed 21 times there. The challenge is going to take place in the Colorado Rockies in the middle of the summer.